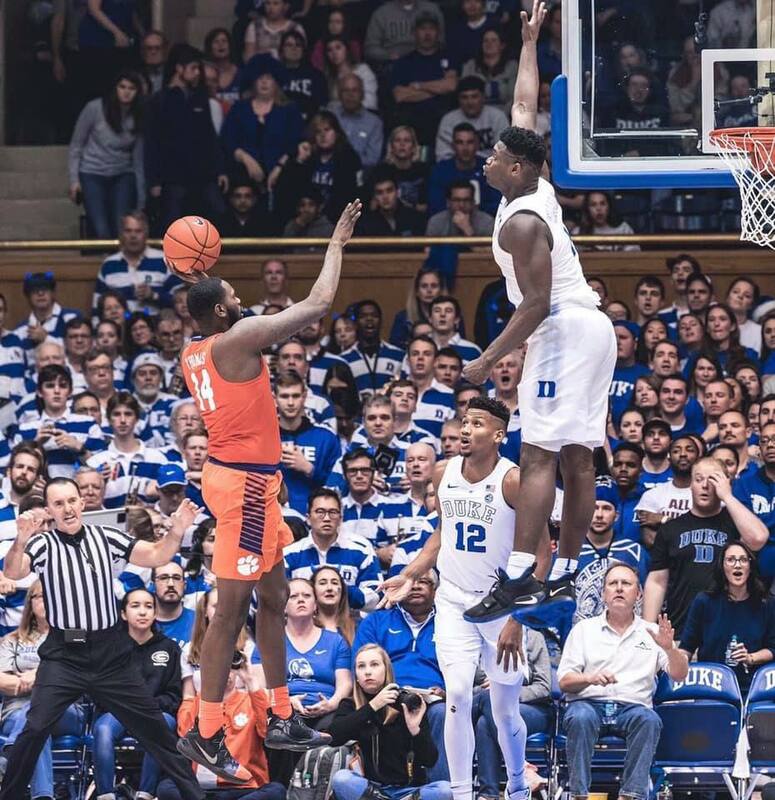 Of course I’m a big Duke fan and very prejudiced, but to me Zion Williamson is the most entertaining collegiate player to come along in years. 6’8, 285 pounds of pure muscle and quick as a cat. He combines the amazing athleticism in a huge body of Lebron James with the exuberance of Magic Johnson — just looks like he’s having fun all the time out there. I’m not really putting his basketball skills on a par with Lebron or Magic, but that’s how he seems when competing against his college peers. He’s going to be a fun guy to follow for years to come and a marketing bonanza for the NBA. But first I want him to bring home an NCAA championship for Duke! I went there, before Coach K was the coach. I’ve got legit reasons to be a Duke fan. it's okay, no one's perfect. This seems like a good spot for this. I didn’t pick up all this weight until junior year. Freshman year, I was small. I was 6-3, 175—like, I was small. And over the course of about two years I picked up a hundred pounds. Hope his knee is okay. I was really looking forward to watching him play UNC tonight. As a freshman in the 1977-78 season, Gene Banks helped lead Duke all the way to the National Championship game against Kentucky for the first time since 1964. That just begins to tell his story, and his legacy. First game back from his sprained knee: 13 for 13 from the floor, 14 rebounds, 5 steals. Six hellacious dunks. That was something to behold. First game back from his sprained knee: 13-for-13 from the floor, 14 rebounds, 5 steals. Six hellacious dunks ........ that was something to behold. He might not have been going all out, either. He may have been being somewhat cautious in only his first game back from a severely sprained knee. He seemed a bit tired in the second half. It will be interesting to see his energy level today against UNC.